Mali Mish – Day 40: Manatee. Catfish. Dog. In that order. Day 40: Manatee. Catfish. Dog. In that order. I am seriously trying to keep our laundry down to a minimum. 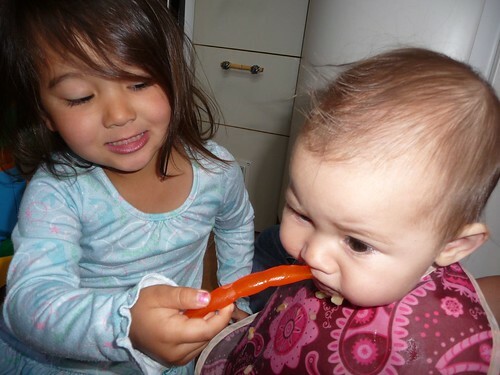 I was doing so well… until Mila started eating solids… and Ava insisted on feeding her. 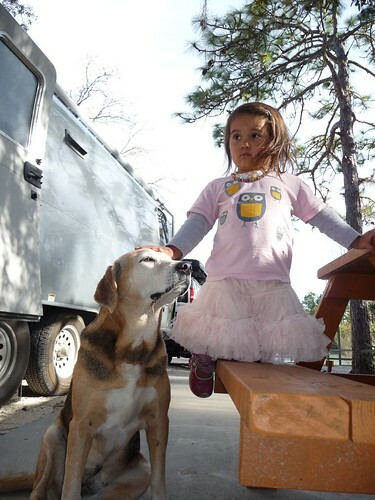 Hey Airstream, do you have a washer and dryer option? And no, I did not style Mila’s hair. 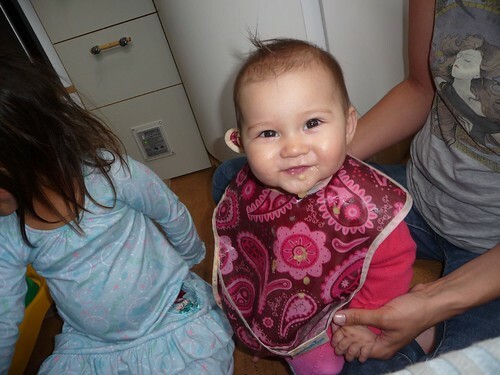 Ava mistook Mila’s head for her mouth. It happens (a lot!). So after only one night at Manatee State Park, we had to start packing up due to sucky cell reception. This place is really beautiful and the spots are spacious… making it tough to leave it. I wish we could have stayed for a week. But we had to do it. 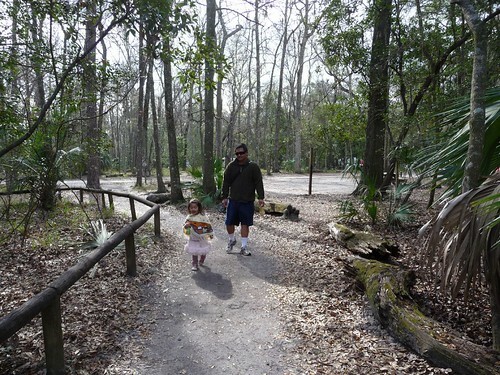 But not before we try one more time to see some of these manatees we were here to see. Do you see any? No. Me neither. Damn. Hold up! I see one! I see one!! I SEE ONE!!! Yeah. You can see it swimming in this photo. 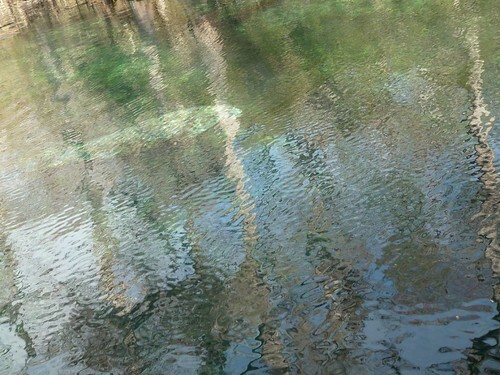 The manatee is the bright blob in the top left quadrant of this photo. You probably can’t tell by this photo but these guys are huge!! We then headed back to our site and started to clean up. Let’s not forget our clothes. It is so nice to have a place to dry our clothes outside. 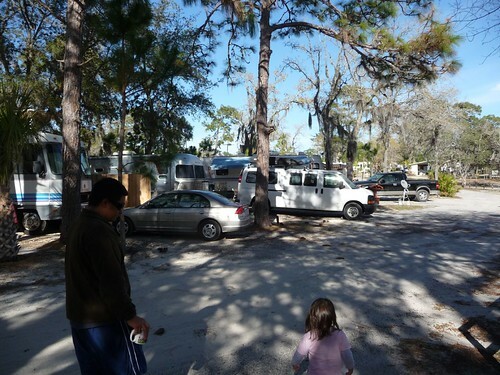 At the past two Florida state parks we’ve stayed, each site had a clothesline or a place to hang your own. Thanks Florida! And yes, I know I have the cutest clothespins in the whole wide world. Birds! Surprise. Surprise. 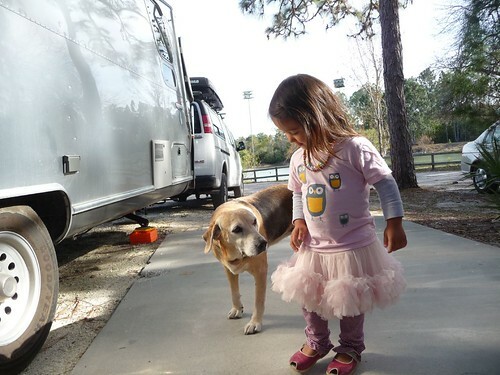 Ava has been really into helping Dan hitch up at each campsite. He helps her use the screwdriver to bring up the Airstream legs and also “tighten” the lug nuts. Good job Ava! Next stop, Weeki Wachee. Yes, you read that correctly. 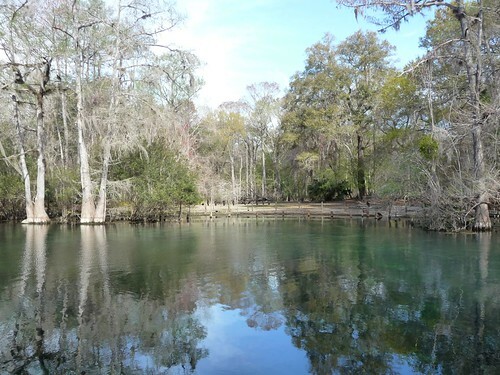 We were headed to Weeki Wachee Springs State Park for some camping and mermaids. But when we got there, the mermaid show just ended… and they didn’t have any camping. Doh! And having to tell our kid that we are not seeing mermaids today after pumping it up all day was not a pretty sight. 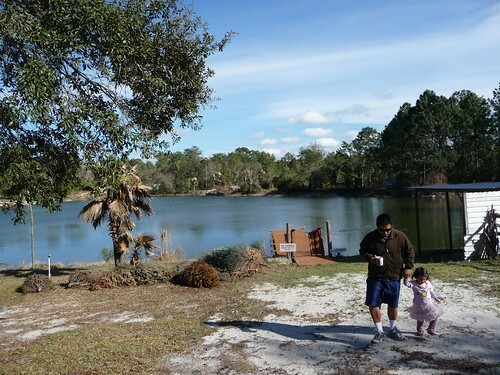 The kids had enough in the car so we quickly looked up the closest campground and it happened to be Cody’s Catfish Pond and RV Resort. The pros were that they had one spot open across from their catfish pond and the owner was friendly. And the cons were that our dining room window looked right into all of our neighbors “backyards” and that gnat season was starting. This place appears to be more of a RV residence than a campground but it will have to do for the night. And just after arriving, it was fish feeding time at the Catfish Pond. 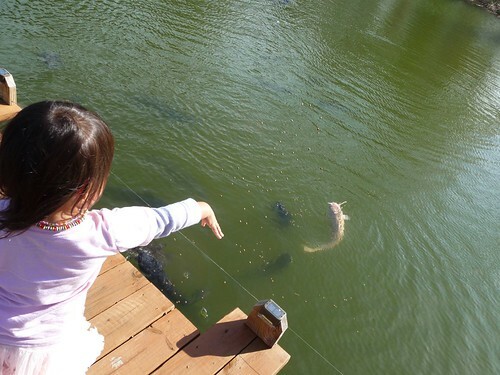 Ava had a blast feeding the catfish their food of choice. Cat food, of course! 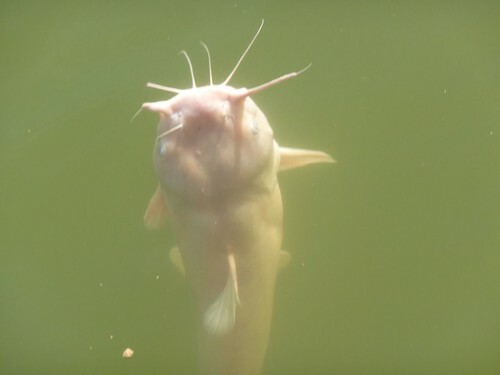 These catfish are pretty freaky looking. Especially these albino ones who look like they just escaped from an underwater cave and are seeing light for the first time. And when the feeding was over, all we heard from Ava is that she wants to feed them more. Why can’t she feed them more? Why, why, why? First the mermaids and now this. Poor kid. Luckily for her (and us), a distraction arrived. And her name was Lightning. And she was as sweet as could be. She belonged to a little old man that lived in the forest near the campground and she always seems to be hanging around (to the dismay of other residents). But not to us. To us, she was a sweet old dog who had lots of love to share. Ava usually takes a while to warm up to dogs. But not today. She took to Lightning right away. And called her a beautiful dog. Over and over again. 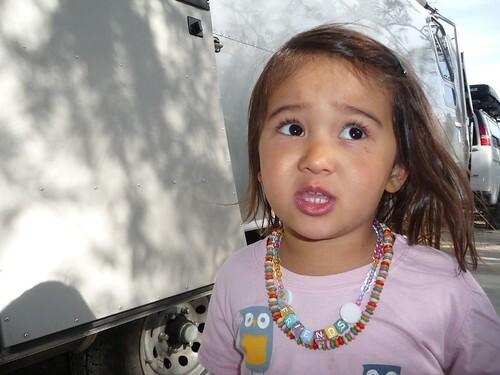 And within a few minutes, Ava asked me if Lightening could live with us in the Mali Mish. And no, we didn’t adopt Lightning. Even though a little part of me wanted to say yes. Alright. Time to demolish these yummy cookies that I have been craving since an Airstream friend introduced them to me back in Arizona. How many states ago was that? A LOT! Day 41: Weeki Wachee Mermaids. 2 Responses to Day 40: Manatee. Catfish. Dog. In that order. mmm! 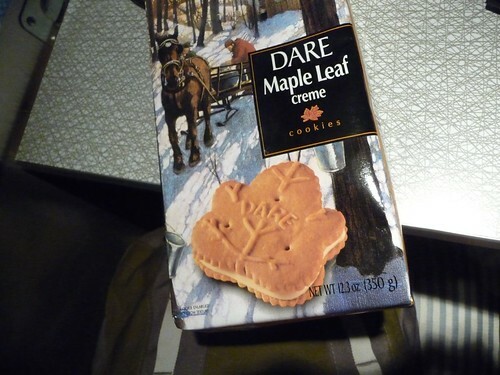 those cookies look yummy! 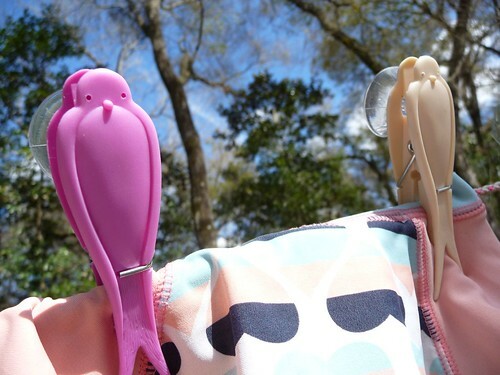 where the heck did you find those bird clothespins? did you search for them or were they an unexpected find?